My girlfriend signed me up for one of those hollywood juice cleanses and I’m not going to lie; I’ve been a little bit excited to try it. After a week delay, the day is almost here. It’s not until the night before do I actually look at the instructions to what it entails. I’ve got no problem putting weird things in my body to make it ‘better’. I grew up drinking weird juice concoctions like carrot/apple/spinach (I almost wanted to spell it spinage) juice. If a fruit/vegetable looked like it contained juice, my mom would juice it. She’d say it’s apple juice or carrot juice… but of course, there would be surprise cabbage inside. Growing up, I also drank Chinese medicine. Koreans call it hanyak. Yuck, indeed. This stuff contained roots and dirt and deer antler and other things I consider to be mulch all brewed together. Back in the day, my mom had this hanyak brewing machine. When it was on, it’d fill the house with the unique aroma I can only relate to as beach sand during rain. The strainer in the machine was anything but a strainer as my drinks were always left with a little bit of soot and branches at the bottom of the cup that my mom made me swallow because it was good for me. Umm.. what am I getting myself into. The half of instructions to the cleanse are warnings. It says don’t sweat it. I read somewhere (not from PJ) that when doing a juice cleanse my sweat will be toxic and I should restrain from activities that’ll make me sweat too much and I should shower if I do. PJ does recommend I do light walking. I’m supposed to drink a lot of water. It’s weird that I’m going to be only drinking juice, but I need to drink more water. It also tells me that it’s probably the best time for me to do a colonic.. I think I’ll pass on this one. There’s a 3 day prep that I’ve neglected to start until today. 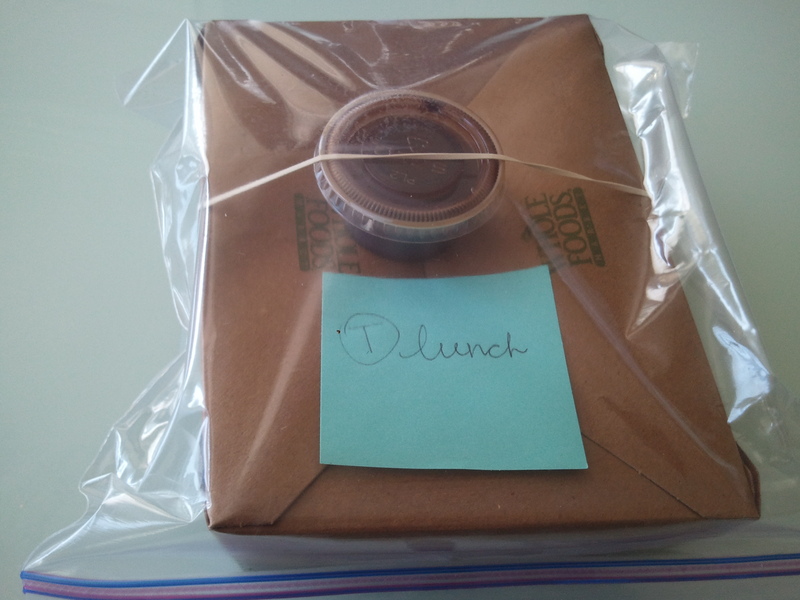 Today, Jessica made me little lunch/dinner packages to make sure I stay on track. Salad for lunch. Sushi for dinner. Not my normal cup of tea but not bad. 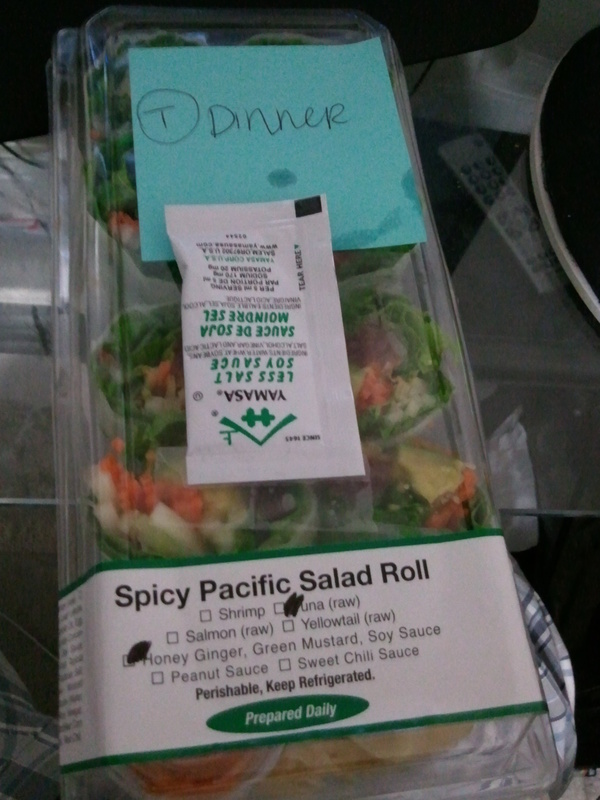 On a side note, I love when people leave me notes (on the side). I don’t know. I haven’t even started and I’m already starting to get a little hungry. This is going to be a long 3 days.